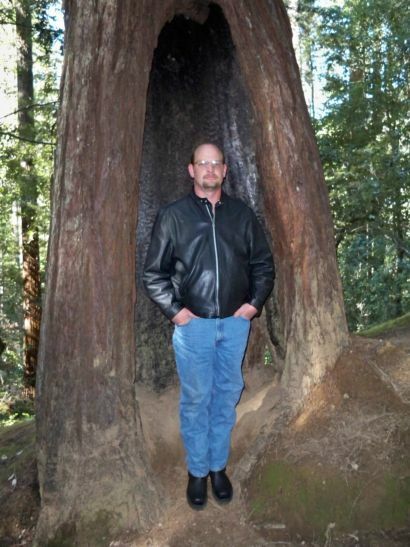 I took this photo of my brother, Ryan (who stands 6' 4"), standing inside the hollow part of a California Redwood. I think this photo is most impressive. Taken on March 29, 2009 in Montgomery Woods near Ukiah, California.